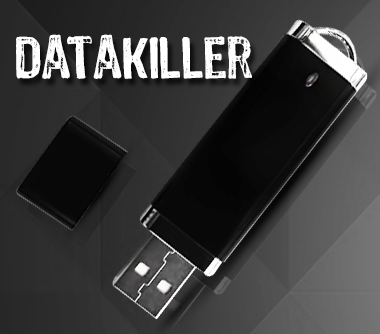 Data Killer is safety USB flash drive which allows you to destroy by double click all stored data with a guarantee to recover them impossible. Data Killer is needed if you care about your data and you are used to be a mobile person who carries the all important data with himself wherever he is. The safety flash drive can be useful as an ordinary USB drive in daily use. Recording data on the Data Killer is the same like on an ordinary flash drive.